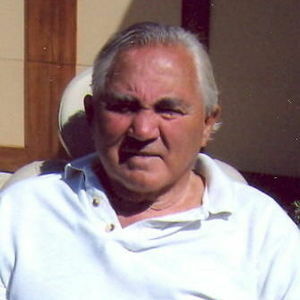 PANICHI Evio A. Panichi passed away peacefully surrounded by his family on February 26, 2012. Evio was born on September 2, 1927 in West Philadelphia and attended Overbrook High . He started his career at Baldwin Locomotive during World War II; he became a bricklayer and worked for Consorto & Sons. There he met his future wife, Theresa Consorto and they married on June 14, 1952. He moved to Broomall in 1953 into a beautiful home he built for him and his wife. He was a member of St. Pius X Church for 50 years. Evio was a successful masonry contractor, who retired at the age of 40 and went on to become a prominent builder in Ocean City, NJ. The homes that he built were legendary and sought by all. He will always be remembered as "quite a character" for his humor, storytelling ability, laughter and fun loving nature. The friends that he made were numerous and lifelong. Evio Panichi will never be forgotten by those he left behind. He was the beloved husband of the late Theresa F. (nee Corsorto) and is survived by his loving children; David E. (Kim), Mark E., Evio A. (Judy) and Charlene P. Moppert (William); 12 grandchildren, his brothers, Dante "Junior", Peter, Pasquale and John Panichi and his sisters, Hazel DiDonato, Edith Giovannozzi, Sheila Robinson and Marie McGuire. Relatives and friends are invited to his Viewing, Thurs. Evening, 6-9 PM and Fri. morning, 9-10:15 AM at the D'Anjolell Memorial Home of Broomall, 2811 West Chester Pike, Broomall PA 19008. Funeral Mass, 11 AM, St. Mary Magdalen Church. Entombment SS. Peter and Paul Cemetery. In lieu of flowers, contributions in his memory to the National Stroke Assn., 9707 E. Easter Lane, Suite B, Centennial, CO 80112. The beautiful and interactive Eternal Tribute tells Evio's life story the way it deserves to be told in words, pictures and video. sorry to here of evio"s passing.